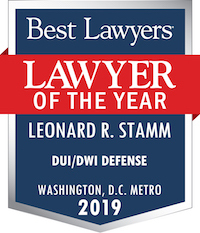 Right to Counsel Category Archives — Maryland DUI Lawyer Blog Published by Maryland DUI Attorneys — Goldstein & Stamm, P.A. This week Donald Trump, the leading Republican contender for President, proposed banning all Muslims from entering the country, as one of his solutions to deal with ISIS inspired terrorism in the homeland. This bigoted and anti-American proposal, on top of his anti-Mexican, misogynistic, and crude comments have only enhanced his standing in the polls, to the shame of us all. His reliance on demonstrably false information to support his claims is no hindrance to him or his followers. In response, I commend to you a piece by Kareem Abdul-Jabbar in Time Magazine. His article, What Donald Trump and ISIS Have in Common, explains how Trump’s proposal is against everything we stand for, and is unconstitutional to boot. We have seen this before. History has taught us that what starts out as harmful speech targeting a race, religion, or ethnic group, frequently evolves into discriminatory behavior with real consequences to members of the targeted group. This type of damage has occurred too many times to recount, at its extremes leading to the worst kinds of violence and genocide. The appeal to emotions, rather than reason, can entice the best of us to do bad things. That is why we are so fortunate to live in a country governed by the rule of law with constitutionally protected freedoms and rights. When a sizeable portion of the electorate is impelled by fear or demagoguery to act lawlessly or even to change the laws to target a race, religion or ethnic group, the Constitution provides a brake. Similarly, when the public’s reaction to crimes impels the State to target an individual who everyone “knows” is the perpetrator or has committed a crime, the law requires evidence, proof beyond a reasonable doubt, and honor to our rules requiring adherence to First, Fourth, Fifth, and Sixth Amendment protections that minimize the risk that an innocent person would be convicted. Freedom of speech, religion, and assembly, against unreasonable searches and seizures, against compelled self-incrimination, the right to counsel, notice, jury trials, due process and equal protection of the laws protects us all. Our Constitution minimizes the risk that a lynch mob led by the likes of Donald Trump would ever subvert the fairness and even handedness of our laws or our criminal justice system. We can only hope that the Constitution continues to protect us as we face new challenges posed by cynical or mindless opponents. The Fourth Amendment requires articulable reasonable suspicion to stop a vehicle, Whren v. U.S., 517 U.S. 806, 116 S. Ct. 1769, 135 L. Ed. 2d 89 (1996) and probable cause to effect an arrest. Hayes v. Florida, 470 U.S. 811, 105 S. Ct. 1643, 84 L. Ed. 2d 705 (1985). However, the Court of Appeals has made it clear that the Fourth Amendment does not apply in MVA hearings. Motor Vehicle Admin. v. Richards, 356 Md. 356, 739 A.2d 58 (1999). The officer is not required to recite the basis for the stop on the sworn statement submitted to the MVA in support of a suspension. Motor Vehicle Admin. v. Lipella, 427 Md. 455, 48 A.3d 803 (2012). The driver may only prevail on the ground of a bad stop if the driver shows the officer acted in bad faith in effecting the stop. Id. ; COMAR 11.11.02.10(H). Transp. § 16-205.1 requires an officer to detain the driver and request a test if the officer has “reasonable grounds” to believe the driver is driving while impaired. In Motor Vehicle Admin. v. Shepard, 399 Md. 241, 923 A.2d 100 (2007) the Court of Appeals construed “reasonable grounds” to be the equivalent of articulable reasonable suspicion to believe the driver is impaired. Thus while the Fourth Amendment requires the officer to have probable cause before making an arrest, § 16-205.1 requires the officer to “detain,” i.e., effectively arrest the driver, with articulable reasonable suspicion. Thus the officer is given conflicting instructions, to not make and to make an arrest at the same time, if there is only articulable reasonable suspicion. Cases after Shepard have considered various factual scenarios, each sustaining suspensions with less evidence than the previous case, lowering the evidence required to sustain a finding of “reasonable grounds” and weakening the protection against unreasonable detention encompassed within the Fourth Amendment. E.g., Motor Vehicle Admin. v. Shea, 415 Md. 1, 997 A.2d 768 (2010)(seatbelt stop, moderate odor, performed standardized field sobriety tests, but no results given); Motor Vehicle Admin. v. Sanner, 434 Md. 20, 73 A.3d 214 (2013)(strong odor of alcohol coupled with having been involved in an accident). The most recent case from the Court of Appeals on this issue, Motor Vehicle Admin. v. Spies, 436 Md. 363, 82 A.3d 179 (2013), held that if the officer claims to detect a moderate odor of an alcohol beverage, reasonable grounds exist. The holding in Spies is contrary to holdings from other states. For example, see Saucier v. State, 869 P.2d 483 (Alaska Ct. App. 1994) (slight weaving across line, “normal” odor of alcohol beverage, admission of couple drinks, and refusal of field tests); Keehn v. Town of Torrington, 834 P.2d 112 (Wyo. 1992) (summary judgment affirmed in suit against officer for releasing defendant who subsequently killed two people); State v. Kliphouse, 771 So.2d 16 (Fla. App. 2000) (unconscious motorcyclist who did not cause accident had odor of alcohol beverage); State v. Taylor, 444 N.E.2d 481 (Oh. App. 1981) (speeding and odor of alcohol beverage); People v. Royball, 655 P.2d 410 (Colo. 1982) (odor of alcohol alone, accident without fault established); but see, State v. Gillenwater, 980 P.2d 318 (Wash. App. 1999) (fatal accident, driver not at fault, odor of alcoholic beverage on both motorist and deceased passenger, three opened beer cans). The mere odor of alcohol about a driver’s person, not even characterized by such customary adjectives as “pervasive” or “strong,” may be indicia of alcohol ingestion, but is no more a probable indication of intoxication than eating a meal is of gluttony. For better or worse, the law prohibits drunken driving, not driving after a drink. In City of Hutchinson v. Davenport, 54 P.3d 532 (Kan. App. 2002), the Kansas Court of Appeals held that the odor of an alcoholic beverage on the defendant’s breath, without any other evidence was insufficient to support the stop of the defendant’s vehicle. In that case the defendant drove to a local jail to secure bond for a friend who had been arrested. When he left a police officer, who detected the odor of an alcohol beverage on the defendant’s breath, advised him not to drive and the defendant agreed. Not long afterward, the same officer saw the defendant driving his vehicle and stopped him. Even with the lesser requirements of the reasonable suspicion standard, the trial court properly determined that there were no articulable facts which create a suspicion that Davenport was driving while under the influence or was involved in any other criminal activity. Even if we combine the knowledge of Henderson and Miller, the only facts suggestive of unusual conduct are that Davenport had alcohol on his breath and that he stated he was walking. Neither of these facts by themselves or together create a reasonable suspicion that justified Miller stopping Davenport in the absence of some indication that he was intoxicated and too impaired to drive. The City cites many cases to bolster its argument that the stop was proper. In each situation where the court found the stop to be proper, however, there were some facts which indicated that the defendant had engaged in some illegal activity prior to being stopped. Here, no such facts exist. Alcohol on one’s breath alone does not provide a reasonable suspicion to support a stop, nor does the statement by Davenport that he was walking. Davenport, 54 P.3d at 535. You have heard evidence that the defendant refused to submit to a test to determine [his] [her] [alcohol level] [the presence of drugs or a controlled dangerous substance]. You must first decide whether the defendant refused to submit to a test. If you find that the defendant refused to submit to a test, you must then decide whether this refusal is evidence of guilt. Refusal to submit to a test may be based on reasons that are consistent with innocence or other reasons that are consistent with guilt. In order to decide whether the defendant refused to submit to a test and what, if any, weight to give the refusal, you should consider all of the evidence in the case. If § 16-205.1 were amended to replace the phrase “reasonable grounds” with “probable cause” in every location where it appears, the obligations imposed on police officers and protections available to drivers would be the same as is provided by the Fourth Amendment. Additionally, the danger that innocent drivers will be swept up in the broad drunk driving dragnet would be reduced. The Court of Appeals announced its decision today in Deering v. MVA. When a driver is arrested for DUI and asked to take a breath or blood test in Maryland, and the driver’s reasonable request to consult with a lawyer before deciding is denied, the driver may not argue at the driver license suspension hearing that the denial of counsel requires not suspending the driver’s license. Although Sites rested its holding on both the Fourteenth Amendment of the federal Constitution and Article 24 of the Maryland Declaration of Rights, its analysis focused almost entirely on cases construing the federal Constitution. Given the scarce support for that analysis of the due process clause of the federal Constitution, the Sites Court’s rationale rests on a precarious footing. Of course, because the Sites decision was also based on Article 24, it is conceivable that this Court could hold that the State constitution confers such a right, even if the federal Constitution does not. Cf. DeWolfe v. Richmond, 434 Md. 444, 76 A.3d 1019 (2013) (holding that an indigent defendant in a criminal prosecution is entitled, under Article 24 of the Maryland Declaration of Rights, to State-furnished counsel at an initial bail hearing before a District Court commissioner without deciding whether that right also emanates from the due process clause of the Fourteenth Amendment). In any event, we need not decide the continuing vitality of Sites to decide this case. Even if Sites remains good law under a State constitutional theory, the ultimate question before us is whether the violation of any such right affects the imposition of an administrative sanction under TR §16-205.1. In Maryland courts, hundreds of DUI (driving under the influence) and DWI (driving while impaired) cases are heard every day. The vast majority of cases are resolved by the defendant pleading guilty on the terms offered by the prosecutor whether the defendant has a lawyer or not. However, in state court, judges are prohibited from punishing a defendant who elects to plead not guilty. It is unusual in Maryland for a prosecutor to offer a defendant a result that is better than what would happen anyway if the case went to trial and the defendant lost. So why not roll the dice? The defendant has nothing to lose. An example of this occurred yesterday in a District Court trial of mine. My client had a number of prior offenses, and although the most recent was over 20 years ago, he did have some exposure to jail. With some judges he was facing a lot of jail time. His breath test was very high. The prosecutor offered him a plea to driving under the influence of alcohol and she would recommend that he be sent to jail. This was the same thing he would get after a trial if we lost, which I fully expected! However, trials sometimes yield surprises. The officer testified that he received a call for an accident and proceeded to the location. When he arrived he spotted a Dodge truck that looked like the description he received and pulled his car in front of it so it could not leave the parking lot it was in. The officer could not remember whether the truck was in motion or stopped. I objected because the State had never informed us what the original description was. Under Maryland discovery rules, the State is required to provide all information relevant to any searches and seizures. I was moving to suppress all the evidence seized as the result of an illegal stop. The judge took a break to consider the objection. When the judge came back, he granted my motion, but not for the reason I argued. He said that he was granting the motion beoause the officer did not indicate who was at fault in the accident and that he had not testified that he had been told that the defendant was uncooperative and had failed to exchange information. So he had no evidence that the officer was in possession of any information indicating the defendant had committed any crime during the accident or after it, and granted the motion to suppress, followed by a motion for a judgment of acquittal. Not guilty. This past Thursday the Maryland Court of Appeals held oral argument in Motor Vehicle Administration v. Deering. John K. Phoebus of Salisbury, Maryland argued on behalf of Ms. Deering that Deering’s license should not have been suspended when the police officer would not let her call her lawyer before deciding whether to take or refuse a breath test. She elected to submit to the breath test and failed. The rule of Sites v. State, decided in 1984, is that when a person arrested for DUI asks to call a lawyer, they must be allowed an opportunity to do so that does not interfere with the State’s ability to obtain a breath test. The rule was clearly violated in Deering’s case, but the MVA argued that the violation cannot be raised as a defense at the administrative hearing, only in court. An amicus brief filed by Leonard R. Stamm on behalf of the National College of DUI Defense (NCDD) and the Maryland Criminal Defense Attorneys’ Association (MCDAA) came up during oral argument. Chief Judge Mary Ellen Barbera noted that one of the claims in the brief was that if the Court ruled in the MVA’s favor it would be changing the status quo. The brief stated that the Sites defense has been allowed at MVA hearings for 30 years. The brief also stated that it was only relatively recently that a growing number of judges have started to disallow the defense, as a result of the Court’s decision in Najafi v. Motor Vehicle Administration. Najafi had stated in dicta (meaning a statement by the Court that is not necessary to resolve the case and therefore not binding on lower tribunals) that the denial of counsel defense could not be raised at the MVA license suspension hearing. However, Chief Judge Barbera noted that there was no data cited to support this statement and wanted to know from counsel whether they agreed with it. Counsel for the MVA, Leight Collins, did not dispute the statement and acknowledged that there is no data base from which data could be culled to support or opposed the statement. Rather, there are paper records of the hearings. So there is no data that could have been provided. The amicus brief was also quoted in the Daily Record. 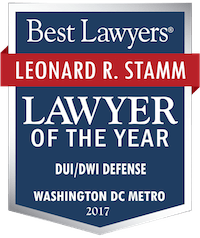 Stamm is with Goldstein & Stamm P.A. in Greenbelt. A number of judges asked whether officers were required to advise suspects of their right to call a lawyer. The Court had rejected a similar claim years earlier in McAvoy v. State. Be Careful Before Paying Traffic Tickets in Maryland! Last year, the Maryland legislature changed the law that required the court to send trial notices to all persons receiving traffic tickets. Now a person receiving a payable (minor) traffic violation and no jailable (non-payable – must appear) companion tickets must either pay the ticket or request a trial within 30 days. If this is not done the driver’s license is suspended until they pay it. the Court. Failure to appear will result in a warrant for your arrest. after receipt of the citation. Provide any change of address if applicable. An additional $10 service fee will be imposed for each dishonored check. form within 30 days to the address shown below. DO NOT SEND PAYMENT at this time. at bottom and mail the form within 30 days to the address shown below. DO NOT SEND PAYMENT at this time. The problem occurs when the person (or their parent!) pays the citation without knowing the consequences. First of all, if any of the tickets is a must appear, then it should absolutely not be paid because a trial date will be scheduled for all the tickets together. The notice on the citation is not clear about this! Even if none of the tickets is a must appear, no ticket should be paid before the person knows everything that will happen at the MVA. And in most cases, people receiving tickets do better by going to court anyway. This past Wednesday I got a call from a former client, JT, who is from a state where it is legal to travel with a handgun in the car, to help his employee, AJ, who had just been arrested in West Virginia and was awaiting extradition to Maryland. Unlike the state they were from, in Maryland it is illegal to possess or transport a handgun in a car, with very few exceptions. I had represented JT on a handgun charge in Prince George’s County, Maryland and obtained a good result. Prince George’s County takes a hard line on people found illegally possessing a handgun and prosecutes them very aggressively. JT, and his employee, AJ, were driving to a construction job in another state when JT got tired and asked AJ to drive. He did, but when he was pulled over for speeding, police found AJ didn’t have a drivers license. A search of the car yielded the handgun. The gun belonged to JT, it was JT’s car, and AJ didn’t even know it was there. Initially in District Court at the time of their arrest and release, in late October, 2011, JT was charged with illegally transporting the handgun and AJ was charged with speeding and driving without a license. In early December, both JT and AJ were indicted in Circuit Court for illegally possessing and transporting the handgun. In Maryland when someone who is initially charged in District Court is indicted in Circuit Court, the District Court loses jurisdiction to the Circuit Court and any initial bond that is posted to gain release is supposed to transfer to the new Circuit Court case. In this case when the indictments were returned a Circuit Court judge issued bench warrants and set a $25,000 bond for each as if there had been no District Court bond set and satisfied. That should not have happened. Since I represented JT, I arranged for a “walk in arraignment,” where the judge recalled the warrant and let him out on his original terms of release. Ultimately JT pleaded guilty to illegally transporting a handgun and received probation before judgment. However, AJ and his lawyer appeared in District Court in February, where he pleaded guilty to speeding and the driving without a license was stetted (postponed indefinitely). Apparently no one ever realized AJ had an outstanding warrant since early December in the same case in Circuit Court, because if they had, they also would have known that the indictment deprived the District Court of jurisdiction over at least one of the charges, driving without a license. Although, as JT’s lawyer, I knew AJ had also been charged, I gave it no thought, because AJ had a lawyer who I assumed was on top of it. This Wednesday when AJ was stopped for a traffic offense in Berkeley County, West Virginia he received a rude awakening. There was an unserved bench warrant for him from Maryland for the gun charges. AJ was jailed pending extradition to Maryland. JT called me to see what I could do. There has been quite a bit of litigation in the past few years on the subject of what witnesses must be produced by the government to prove the results obtained for scientific testing for drugs and/or alcohol. The Supreme Court has taken a case a year on this question, starting with Melendez-Diaz v. Massachusetts, 557 U.S. 305 (2009)(no chemist), Briscoe v. Virginia, 130 S. Ct. 1316, 175 L. Ed. 2d 966 (2010)(who must subpoena the witness), Bullcoming v. New Mexico, 131 S. Ct. 2705, 180 L. Ed. 2d 610 (2011)(substitute chemist), and Williams v. Illinois, 132 S. Ct. 2221 (2012)(underlying opinion in DNA match). The government usually claims that it is unnecessary to bring these chemists to court because what they are doing is very routine, in the regular course of business, that the results are not really used for their truth (huh? ), and that it would be too burdensome to bring these witnesses to court. But as is reported in the following disturbing article, sometimes chemists lie, and lie a lot. The story, which is reported in the Boston Globe on September 30, 2012, is titled “How chemist in drug lab scandal circumvented safeguards.” According to the article, state drug lab chemist Annie Dookhan has been charged with two counts of obstruction of justice, for falsifying drug test results and for falsifying her academic record. Dookhan is accused of skipping necessary tests (dry-labbing) altering records, contaminating samples, and signing other chemist’s names, placing in jeopardy between 34,000 and 60,000 convictions. This sad story simply illustrates what we all already know, witnesses are human, and sometimes humans lie. While confronting the lying witness in court may not always or even frequently uncover the lie, to allow a witness who supplies testimony that is critical for a conviction to avoid appearing in court is unfathomable and cannot be justified by simple cost benefit analyses. Criminal defense lawyers are fond of making analogies to explain themselves to non-lawyers. Analogies can be very useful in closing argument and I intend to discuss some of those analogies in a future blog. Today I want to discuss the DUI defense lawyer as a DUI mechanic or technician. Every DUI case has component parts. The prosecutor must know how these parts fit together in order to build a successful case. The defense lawyer must also know how these parts are supposed to fit together in order to dismantle the State’s case. This is an integral part of our criminal justice system, and the defense lawyer acts as a check on the government to make sure the prosecution follows all of the rules and regulations, statutory and constitutional provisions before the fact-finder – a judge or jury – concludes the defendant is guilty. It’s as if you brought your car into the shop for the mechanic to repair or rebuild your car. The defense lawyer is like a competing mechanic watching the actual mechanic. The judge is a supervisor. When the actual mechanic tries to take a short-cut, and skip a part he has in short supply, the defense lawyer/opposing mechanic objects, and the judge/supervising mechanic can rule that the prosecutor/mechanic cannot complete the repair without doing it 100% correctly.